The other morning my 13-year-old son told me he had a very vivid dream. In his dream he was in the car with his dad and they were driving on a super long bridge. In the distance they could see a tornado heading their way. Before long, it was hard for Blake to control the car as the tornado quickly approached. It was strange because we don’t usually have tornadoes in Washington State. Thankfully, in the dream, Blake and Zack made it safely to the other side of the bridge and were quite relieved and happy that everything turned out okay! I have helped many families stage their homes over the years and now it’s time to stage my own! Blake has accepted a new job and would love to shorten the commute. Not only are we looking for just the right home to move into but we are working to stage our current home, get pre-qualified, and keep up with life! It’s easy to get stressed and overwhelmed when you sell your house. It may even seem like you’re turning your house upside down and chaos is winning! You’ve decided to move and want to put your best foot forward to stage your home and reap maximum benefits. Where do you start? What do you do? How do you do it all? Potential buyers will often drive by your house before they contact a realtor to see inside. You have 15 seconds to Wow buyers as they approach your house. The outside matters! More than likely, when you are preparing to stage your home, you will find many treasures that won’t make the cut to move. Is that giant calculator worth the trouble of packing and unpacking again just to sit unused at your new home? Take it to the garage! What about those decorations that you’ve had for years and are ready for a fresh new look? Take them to the garage! OR that piece of furniture that functions but you just don’t love it. Take it to the garage! Instead of boxing up your garage sale merchandise and trying to figure out where to put those boxes, what about parking outside, setting up tables, and merchandising as you find treasures to sell. Sure, it’s inconvenient to have to park outside but the inconvenience might pay off! If you have time, eBay is an excellent way to get top dollar for those things you just don’t want to box up and move but know are worth more than garage sale prices. If you have at least one month before you plan to show your home, eBay is a great way to go. eBay is time consuming and you will have boxes laying around waiting for a buyer. Of course, this isn’t conducive to staging, so if you’re short on time, either box it up or sell it at the garage sale. It’s time to make your home look big, big, big! You want to appear as though you still have plenty of room to grow. This means you clear out anything you won’t need until you move into that new house. That salad spinner you HAVE to keep because you use it at least once a year, pack it! Go through your cupboards, closets, and drawers and pack everything you can. The goal is to leave 30% of your closets and storage spaces empty! You may decide to rent a storage unit for a month or two for your moving boxes. Many sellers will simply fill their garages up with moving boxes, making it difficult for potential buyers to truly see the space of the garage. We have an overhead storage rack in our garage that we will be utilizing but, if need be, we will rent a storage unit for overflow. This post contains affiliate links. When you purchase through an affiliate link, we receive a small commission and your cost remains the same! See our full disclosure. If you’re anything like us, painting hasn’t been done in years and you may have some interesting colors on the walls. Give your home a fresh coat of paint in a neutral color. The Shur-Line Paint Edger is my favorite tool for painting! It helps me edge perfectly around ceilings, baseboards, and door frames! The way we live and the way we stage are two completely different things. When you stage your home, it should be free of clutter. It may be quite convenient to leave stuff out on the bathroom counters and the kitchen island, OH, the kitchen island seems to be a magnet for EveRytHinG! It’s time to go bare bones and pack or sell everything you don’t need for a few months. Put away those area rugs, remove curtains to let the light shine in, and take pictures off the walls. It’s really quite amazing how little we need to live a great life! You may need enough seating for twelve in the family room but when it comes time to stage your home, go with the bare minimum. Move furniture around and breathe new life into your home! Make your home sparkle! Clean the windows, window tracks, blinds, doors, baseboards, curtains, and floors. Scrub the hard water stains out of the toilets and dust those light fixtures and air vents. Is it in your budget to update your home? They say your home will sell for more with updated flooring and countertops. When the big day arrives and you’re ready to show your beautiful home to prospective buyers, open those blinds and let the sun shine in, close the toilet lids, turn on lights, open doors, and make your home inviting! Right now we are smack dab in the middle of preparing our home to sell. The garage is full of treasures for a garage sale, boxes are waiting to be moved to the overhead storage, faceplates are off of outlets and switches, and painting supplies litter the floors. Zack has been quietly observing the ‘tornado’ and his resistance to change has his mind thinking overtime. His vivid dream, that he actually remembered in detail, was his mind’s way of working out the chaos and so vividly showed him that everything will be okay in the end! Happiness will be in our new home just like we know it here! It just might be a little stormy on the way. Subscribe (free!) 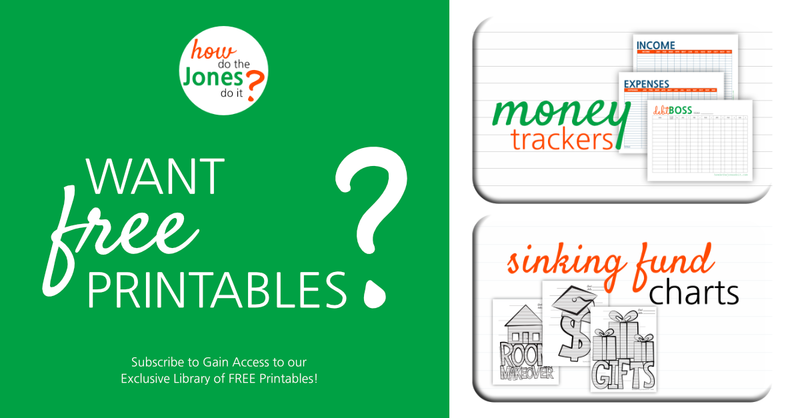 to gain access to my Resource Library full of Printables! Once subscribed, you will receive weekly emails with Printables, Ideas, and Money Tips for your Everyday Life! You did it! Check your email for your password! Great article, I hope the move goes smoothly for you. I’d add one other tip and that is to clean up inside cupboards and wardrobes. People open cupboard doors and if it appears crowded or there are stains on shelves it is a turn-off. Declutter as you have suggested then wipe over the shelves. Excellent recommendation, Carrie! We want it to look like there is plenty of room! Oh, believe me, you will hear ALL about it! Lol! Hopefully sooner than later! Just call me the dream interpreter. Haha! I’m just that good!